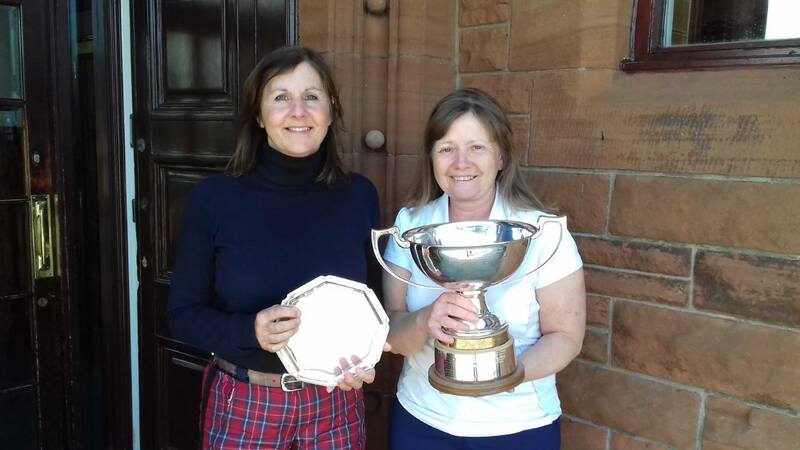 Hazel MacGarvie finished Tied 31 out of a very strong field of European players competing in the Helen Holm last weekend. 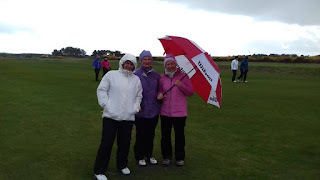 Hazel's 73 and 74 over Portland was followed up with 77 over Royal Troon in tricky windy conditions. 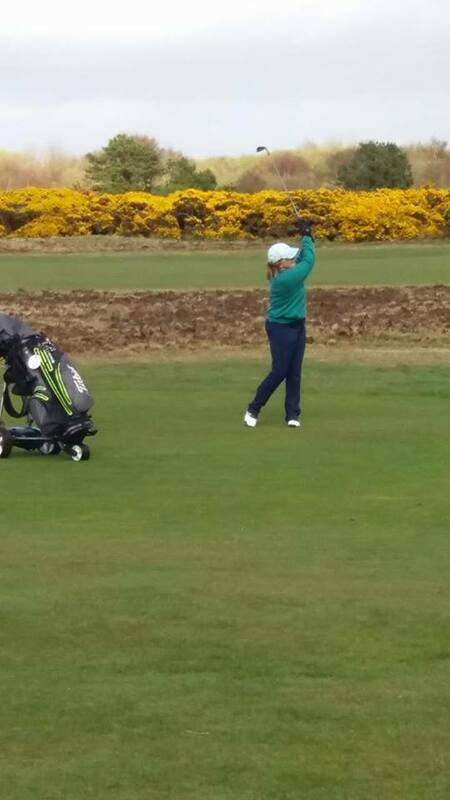 Emma Hale who finished T50 up three places from where she was after the first two rounds with a 76 on the final day. The CSS was 76 on all three rounds - well done Hazel on a splendid performance. Thank you to all the girls who did an excellent job on the scoreboards, I hope you enjoyed your day on the course! 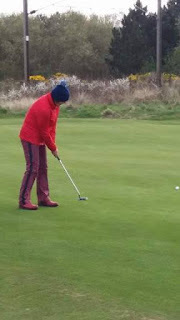 Please click here for the draw for our next meeting - 4's at Seafield on Tuesday 9 May. This is a qualifier for the Inter County 4's which is on Wednesday 7 June at Cochrane Castle Golf Club. Two best scratch scores and 4 best nett scores will qualify. In addition the 3 best nett scores will qualify for the Commonwealth Spoons which will be held at Alyth on Monday 11 September. Have your diaries ready when you check in as you will be asked to confirm your availability! Unfortunately the Commonwealth Spoons does clash with our meeting at Irvine Golf Club. Rachel Foster had an excellent net 72 in wet and windy conditions at Troon Portland on Sunday to win the first West of Scotland Girls' Medal of the season. Katie Ronnie from Barassie won her age group in the Development Medal over the Craigend Course. Keep up the good form girls! 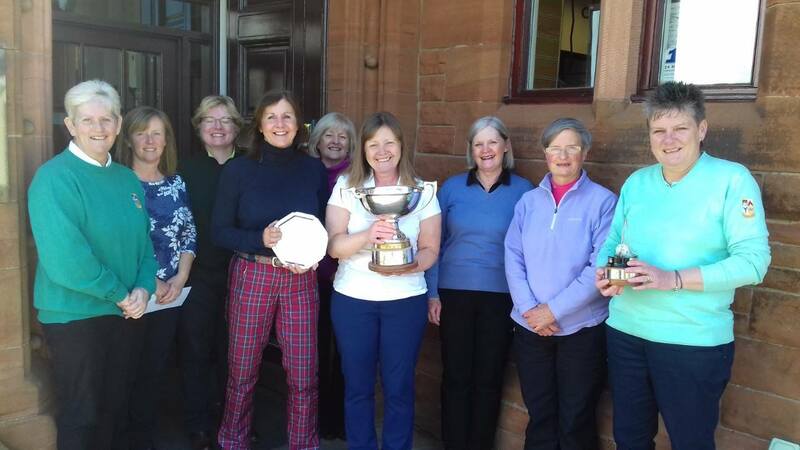 Liz Keohone, (Loudoun Gowf Club) is the new Ayrshire Ladies County Champion, winning the title in her year as Captain. 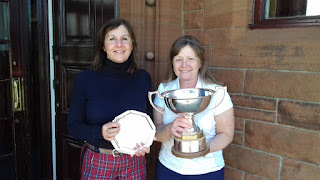 It was a great final between Liz and Jane Finnie, Troon Ladies, with Liz winning at the 19th hole. 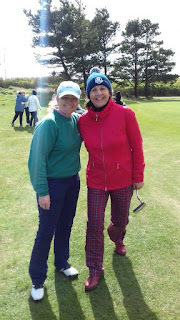 Jane got off to a great start winning the first 2 holes, the next 4 holes were exchanged before Liz won 8 and 9 to square the match. Liz then chipped in at the 10th to go ahead for the first time in the game. Eleven and 12 were halved in pars before Jane took 3 holes in a row to be 2 up with 3 to play. Sixteen was halved, then a par on 17 was enough for Liz to take the match down 18 where a great chip secured a 4 and a win. Despite good approach shots to the 19th green neither found the putting surface with Jane running into some trouble at the back of the green. A good up and down from Liz was enough for her to win the hole and the title. The match was watched by a good crowd who were certainly entertained by the quality of the golf from both finalists in tricky conditions. 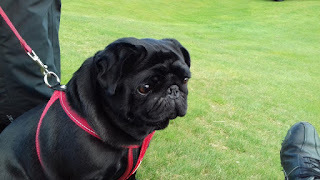 The better ball score for the 18 holes played being 3 over par. Well done to everyone who played this week! Well from my desk it looks pretty windy out there, would still must rather be out on the course watching the ladies play. So if you have some time this afternoon, please go along and show the ladies your support. 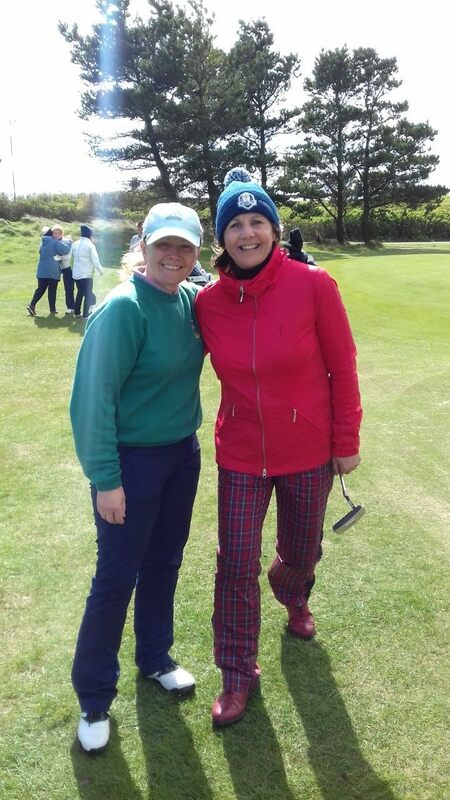 The final round of Liz Keohone versus Jane Finnie will t-off at 2pm. Good Luck to you both! !